Okay, time for specimen number two. 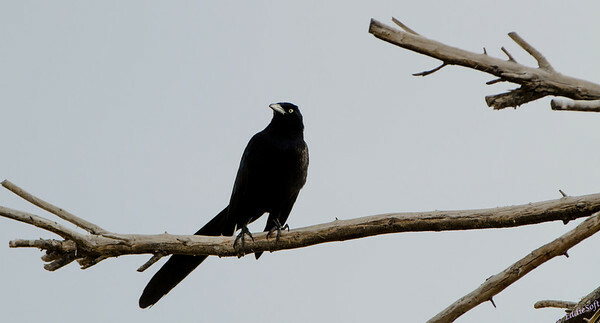 Unlike the larger frame of the bird above, this one possesses one of the smallest bodies in the bird family. The Preserve had a bunch of Hummingbird feeders hanging in the trees outside the Visitor Center. There wasn’t much action when we got there, but one did make its presence known as we finished the day. While Linda was closing up shop with the tripods and other equipment a small green shimmer caught my eye in the neighboring trees. This was a pretty dense thicket of branches so locating exactly where it was took a little bit of time and once spotted took even more time to find a workable path to take a shot. This was handheld with the Beast so getting a focus point steady on the small body was a challenge. A few came out decent enough to use on the blog. At the time I figured it was just a Ruby Throated Hummingbird that can be seen any day of Summer hanging out at our porch feeders. It did look stockier than ours but figured that neck would magically turn reddish if it moved its head any. Not a single picture of the set showed any reddish hues when meant more time in the reference manuals. There are definitely more Hummingbird species than expected. On a quick count there is about 20 in the Stoker’s book. Eight were missing the right region and another 9 were quickly dismissed for possessing a different coloring scheme. 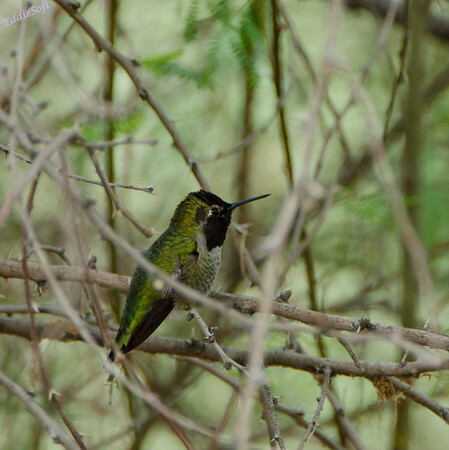 Of the ones that were left, the Costas and Black Chinned Hummingbirds seemed the closest. With it narrowed down a bit I could leverage the web to compare against some similar images. 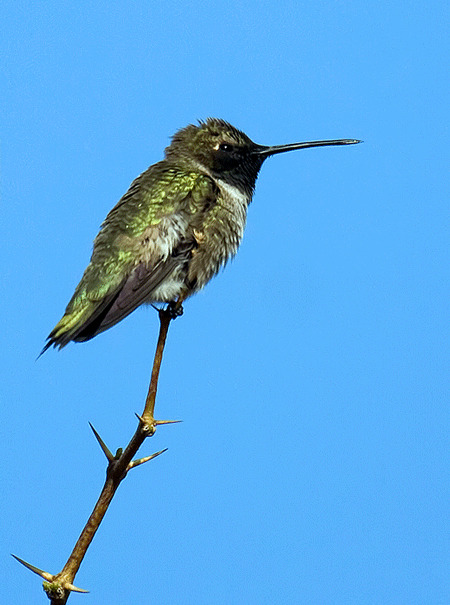 A NYBirds.net site (link here) had a VERY similar shot labeled Black Chinned Hummingbird. Ironically, this bird does not go anywhere near New York based on the region maps in Stokes. 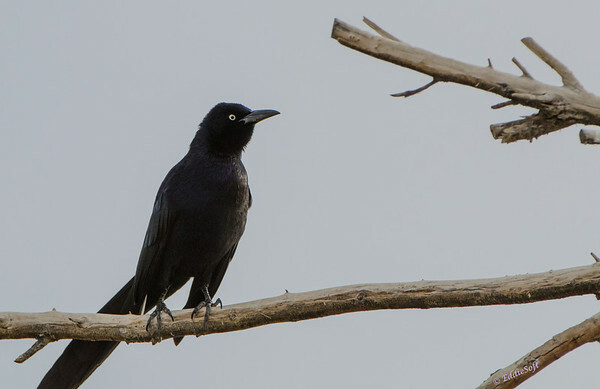 Digging a little deeper I stumbled on this Utah Birds site (link here). Once again, that is a VERY similar looking bird to my specimen and again labeled as a Black Chinned Hummingbird. Of course, there is always the risk that the Net is wrong (say it isn’t so Mr. Gore), but based on the reference shots in Stokes this is what I was leaning to anyway. These two shots were the only ones worth putting my name on so sorry about the lack of viewpoints. Clearly there wasn’t a significantly better angle or I would not have settled for the twig crossing across the body like that. 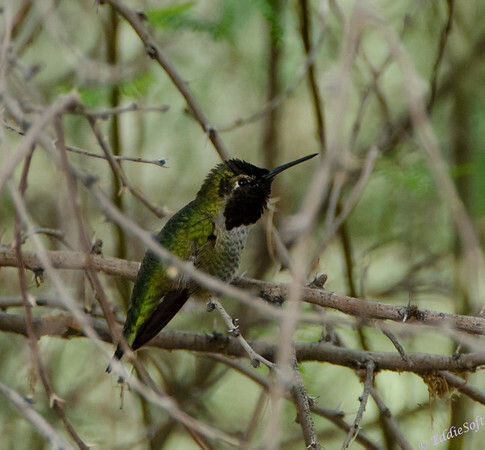 Unless someone can come to my aid, I am going with the Black Chinned Hummingbird as the ID. If it stands, pretty happy at taking the time to snap a few shots on the way out. On a side note, those Ruby Throated ones that hang out here are ruthless to each other. One will claim one or more of the feeders for itself and proceed to attack any other Hummingbirds that happen to comes to close to them. Basically just rams that long spear into any unfortunately competitors. They must be smarter than your average bird because the bullied Hummingbirds will group up and send out one to distract the guard while the others sneak in to grab a few sips before they are discovered and chased away. Overall counts of the birds was down over last year where we averaged in the 11-12 birds at a time. This year was only in the 4 to 5 range. Apparently this was the same situation noted by my other birding friends with Hummingbird feeders. 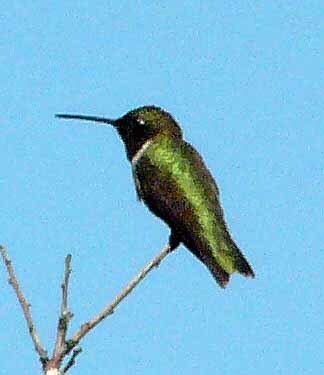 Not sure if there is a reason for that, but as of now there hasn’t been a Hummingbird seen in the area for over two weeks. See you next year Rubies, there will be plenty of sugar water when you return. I think you nailed both identifications based on the pictures in the links you provided! Yeah! 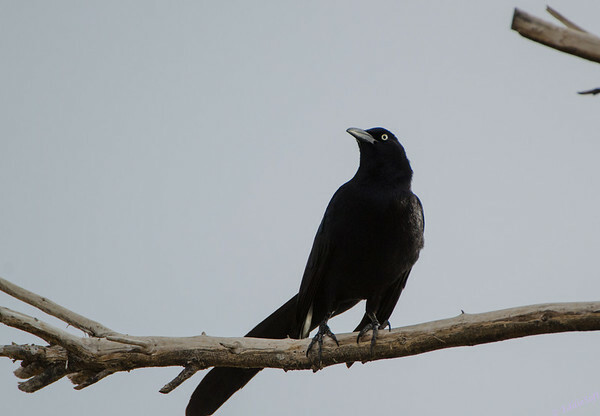 Hmmm a red-eyed Raven eh… sounds like a one of a kind bird, er perhaps demon spawn. Wonder if anyone has ever been able to successfully take a picture of it – would be quite the catch and likely to sweep all the fair competitions!